Kali and Krsna are two of Hinduism's most popular deities, representing dramatically different truths about the nature of the sacred. The cruel and terrible Kali is thought to be born of wild, aboriginal roots. She is the goddess of thieves and often associated with human blood sacrifice. Krsna, in contrast, is the divine lover and inimitable prankster who plays a bewitching flute to draw all to him. But Kali and Krsna have much more in common than their contrasting personalities suggest. 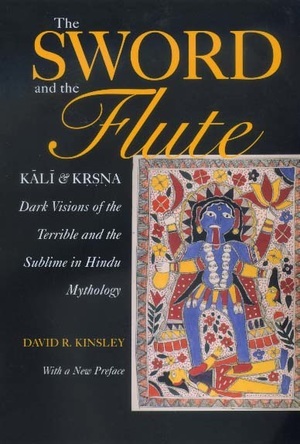 Kinsley shows that Krsna's flute can be interchangeable with Kali's sword, revealing important perceptions of the divine in the Hindu tradition. David R. Kinsley is Professor in the Department of Religious Studies at McMaster University, Hamilton, Canada.